Government recognised cyborg artist uses amazing abilities both for art and for cyborg rights. Artist was once severely colour-blind. Artist now uses a surgically implanted antenna to see colour. 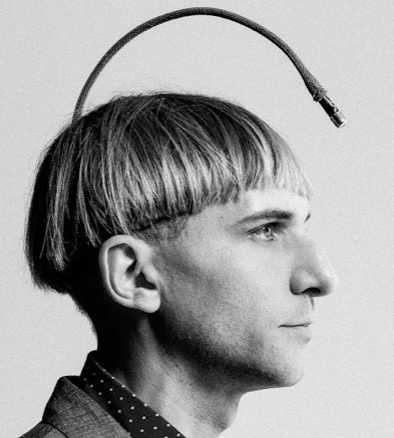 Born with a severe form of colour-blindess, Neil Harbisson was only ever able to see the world in grayscale. This did not hinder his artistic pursuits, and by age 16 he was studying art at the prestigious Institut Alexandre Satorras, where he was given special permission to use no colour in his work. Neil's life changed when he got an antenna implanted in his skull that allowed him to see colour. 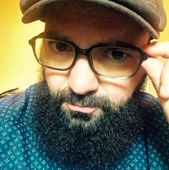 Though it sounds like the stuff of science-fiction, Neil is one of the many people who are embracing transhumanism by levelling up with implants and Wi-Fi, becoming a biological extenstion of the Internet of Things. 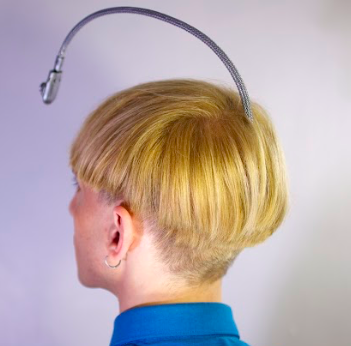 By transmitting audible vibrations into his skull, Neil's osseointegrated cyborg antenna allows him to perceive visible and invisible colours including infrareds and ultraviolets, as well as receive colours from space, images, videos, and music. Hooked up to an internet connection, Neil can also take phone calls directly into his head. Working with fellow cyborg-artist Moon Ribas, Neil founded the Cyborg Foundation, an organization that is focussed on the promotion, development and defence of cyborgs. In 2017, they also co-founded the Transpecies Society, an association that gives voice to non-human identities. "Taking an active part in our own biological evolution is no longer a theory, but an option" says Neil. "If we want to become a species that can survive in space we have to either change the extra-terrestial environment or change ourselves. Becoming a cyborg, becoming technology, instead of using or wearing technology, opens up the possibility of having additional organs and senses that could extend our perception of reality and increase our survival possibilities in space. We might be witnessing the start of our species’ renaissance, a transformation that will help us explore our reality in depth and survive outside this planet." Neil describes his ability as an entirely new sense; one that he seems very at home with. "Cats have tails that allow them to extend their sense of balance. Seals have whiskers that allow them to extend their sense of touch and some fish have lateral lines that allows them to extend their sense movement and presence. I have an antenna that allows me to extend my perception of light and sound beyond traditional senses and beyond earth." Beyong using his amazing ability to revolutionize his artwork, Neil has also used it to transcend his everyday life, no small thanks to his skull's internet connection: "Selected people – one from each continent - can send images or sounds to my head by using their mobile phone cameras or microphones. This separation of my body and my senses makes me feel as if I have an eye and ear in each continent. Sometimes I might be facing a boring brick wall yet be perceiving a beautiful sunset from my Australian eye. Or I might be having an extremely boring conversation with someone yet be receiving extremely funny jokes from my American ear." 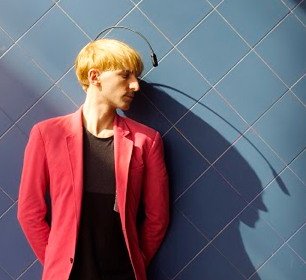 You can learn more about Neil Harbisson and cyborg art by clicking here. And you can make sure your own body/home is getting the best Wi-Fi by clicking here.